McClain Senior Cassidy Willis signed with Ohio Christian University on Friday at McClain High School and will continue her golf career with the Trailblazers in Circleville. 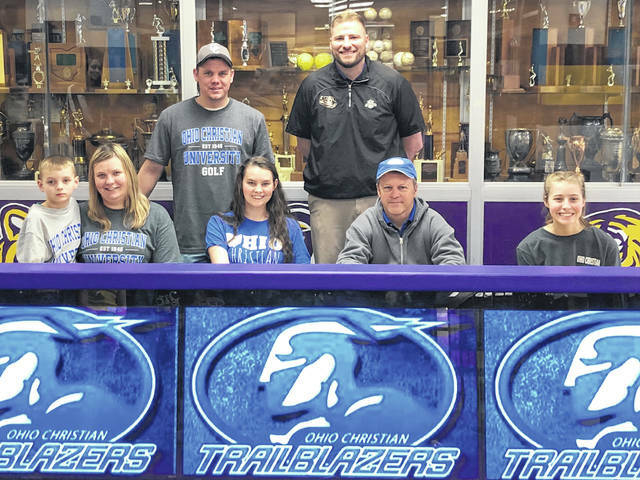 Pictured front row (l-r): Remy Willis (brother), Gentry Willis (mother), Cassidy Willis, Ohio Christian Head Coach Lane Patrick and Catlin Willis (sister). Back row (l-r): Kyler Willis (father) and McClain Head Coach Jarrod Haines.